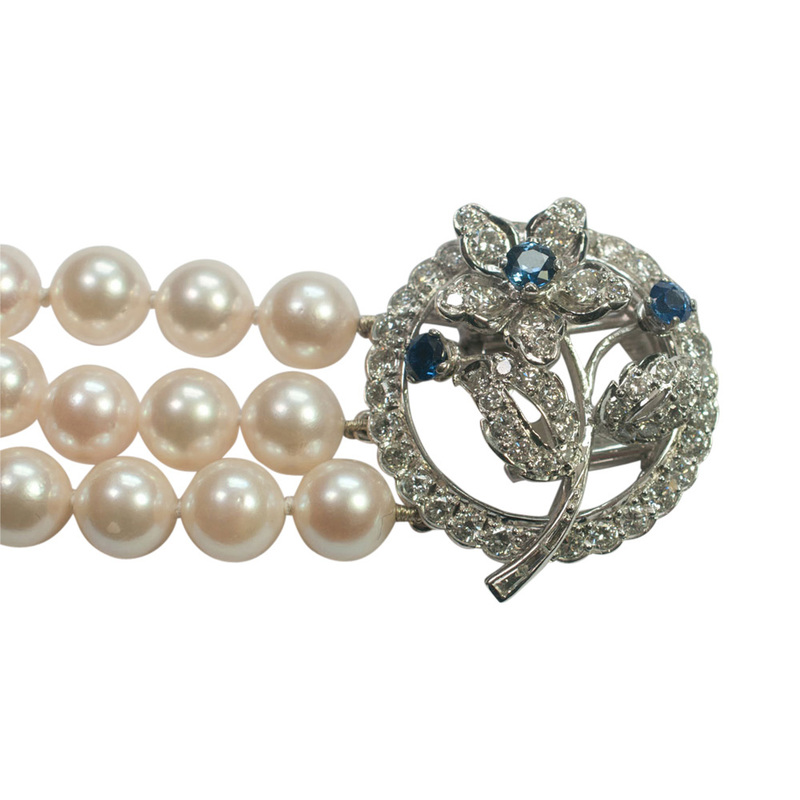 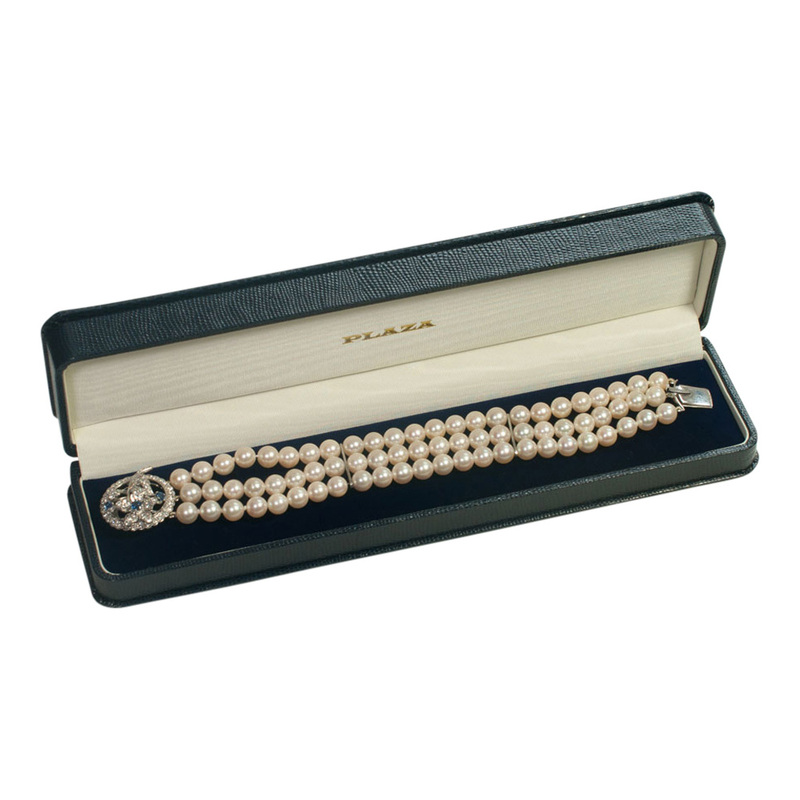 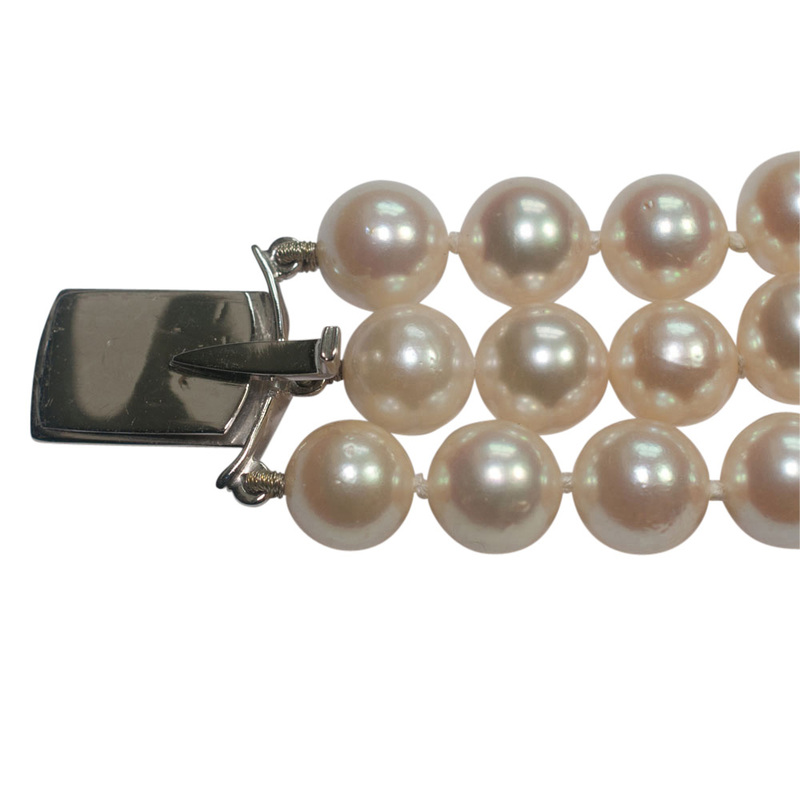 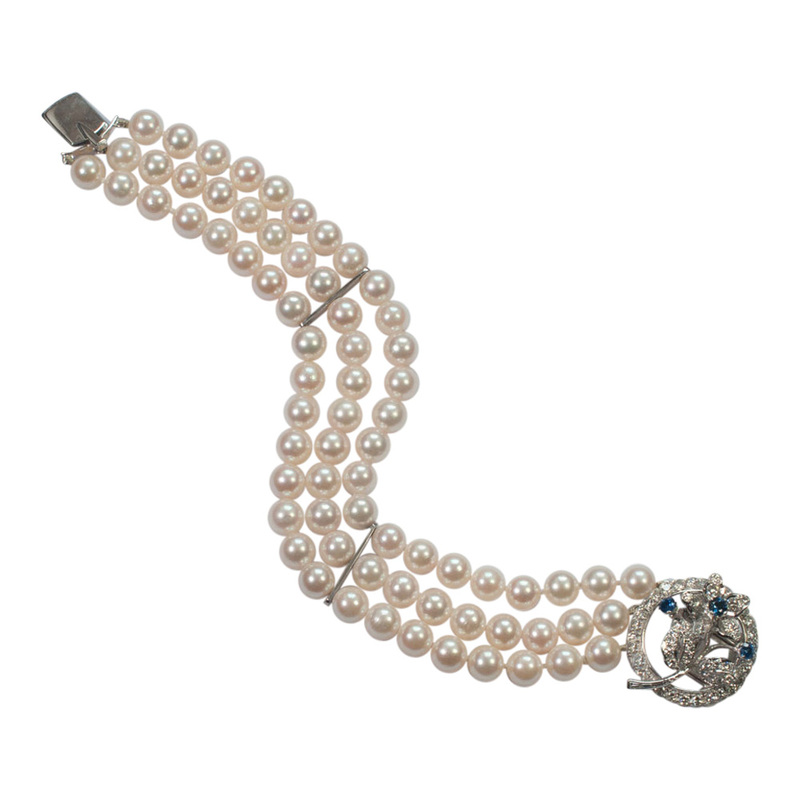 3 row cultured pearl, sapphire and diamond bracelet; the pearls measure 6.5mm – 7mm and are of a lustrous creamy white colour. 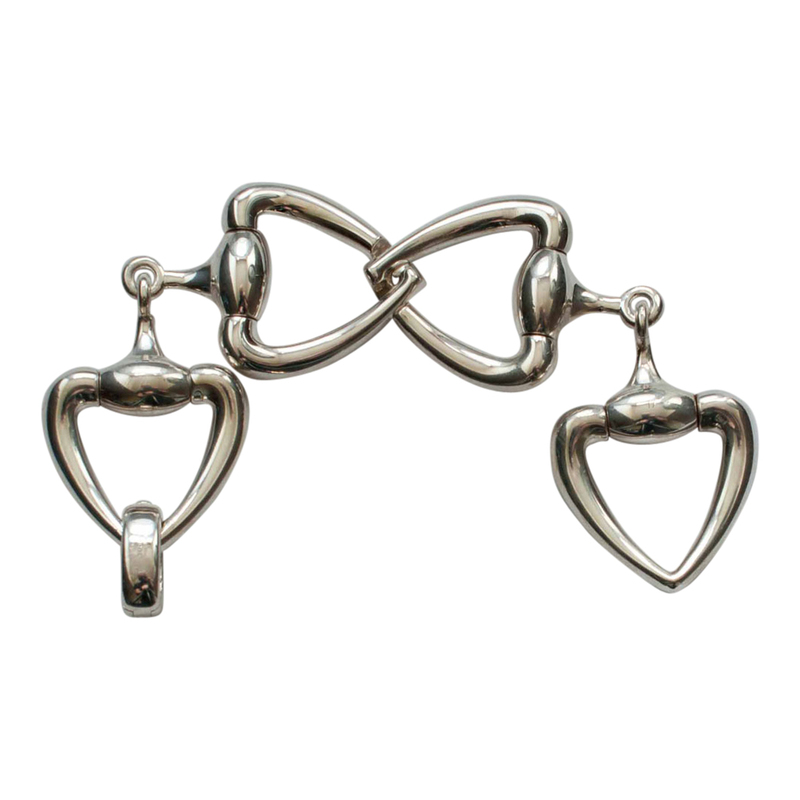 They are linked by two 18ct white gold bars. 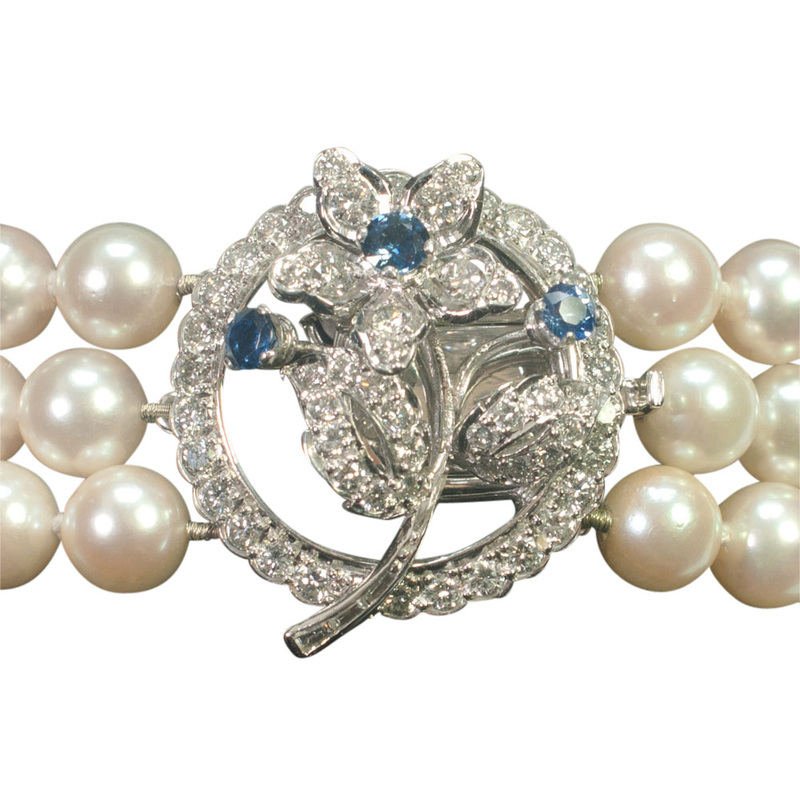 The clasp is set with diamond and sapphire set flowers, with the diamonds totalling 1.75ct. 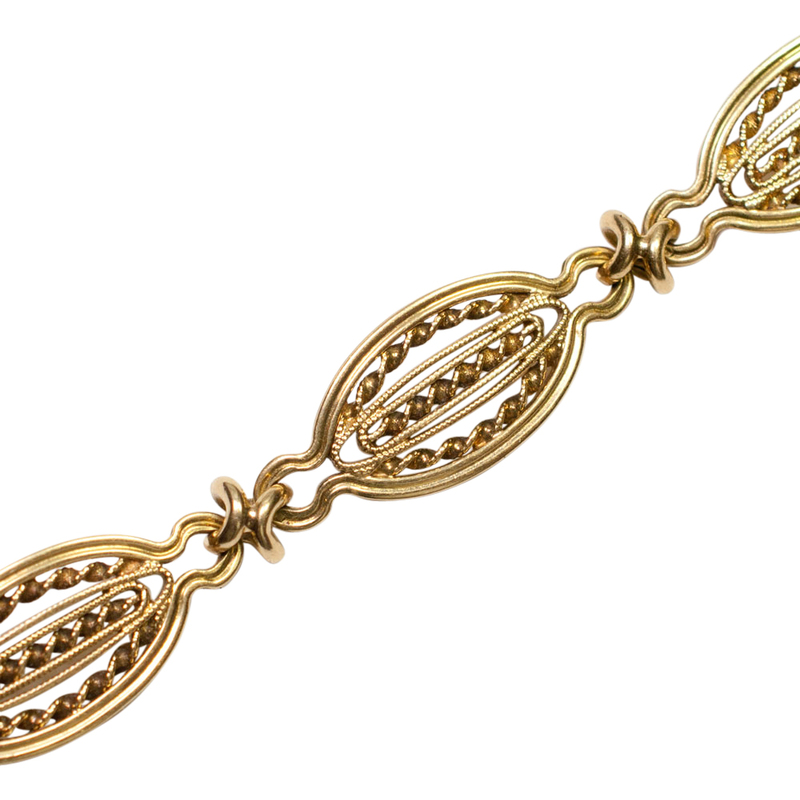 Maker’s mark W & Co, fully hallmarked for 18ct gold. 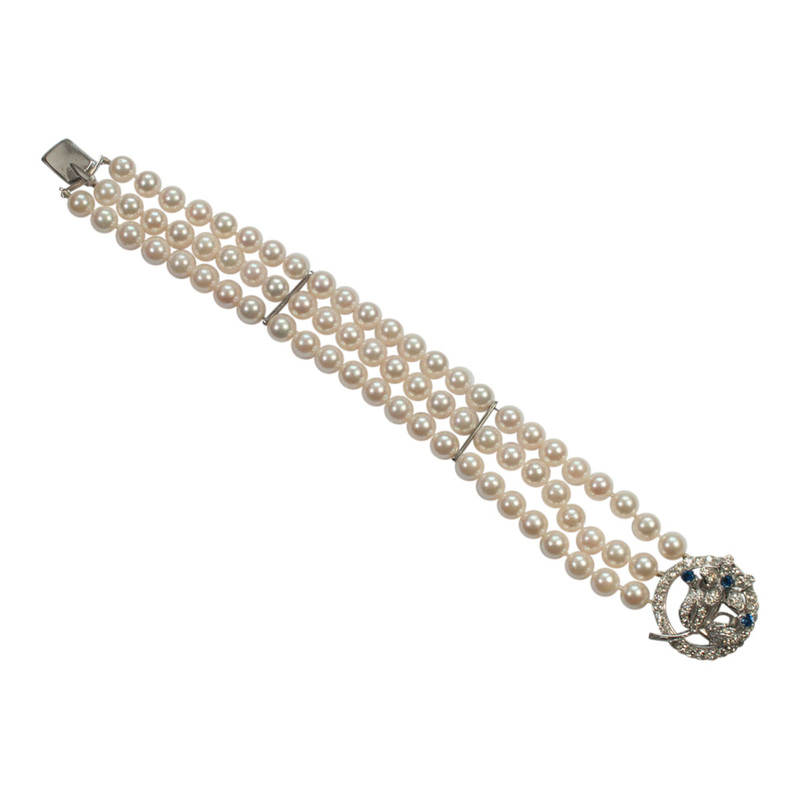 Length 19.5cms. 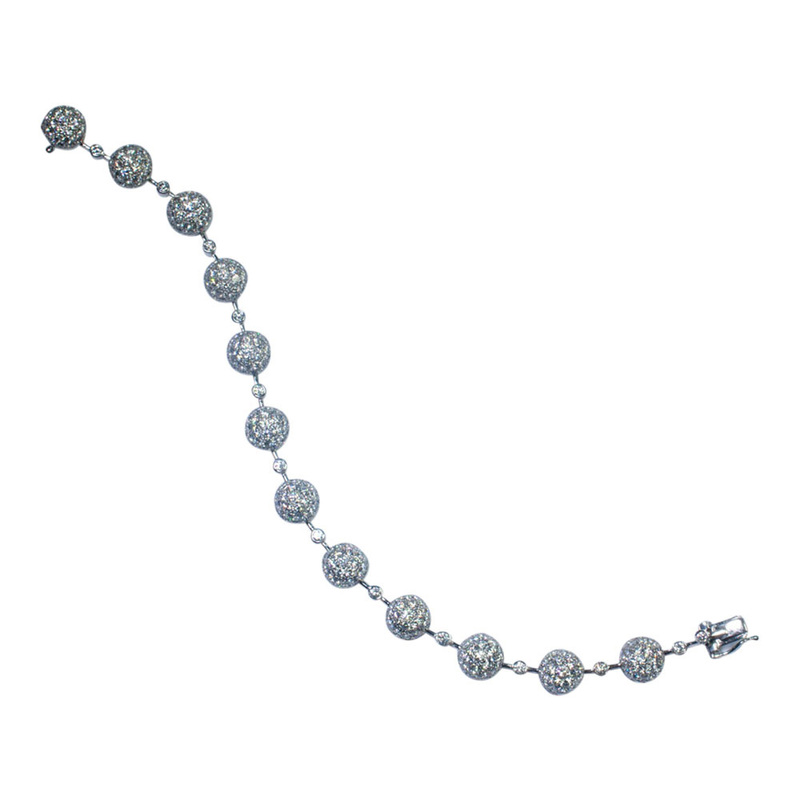 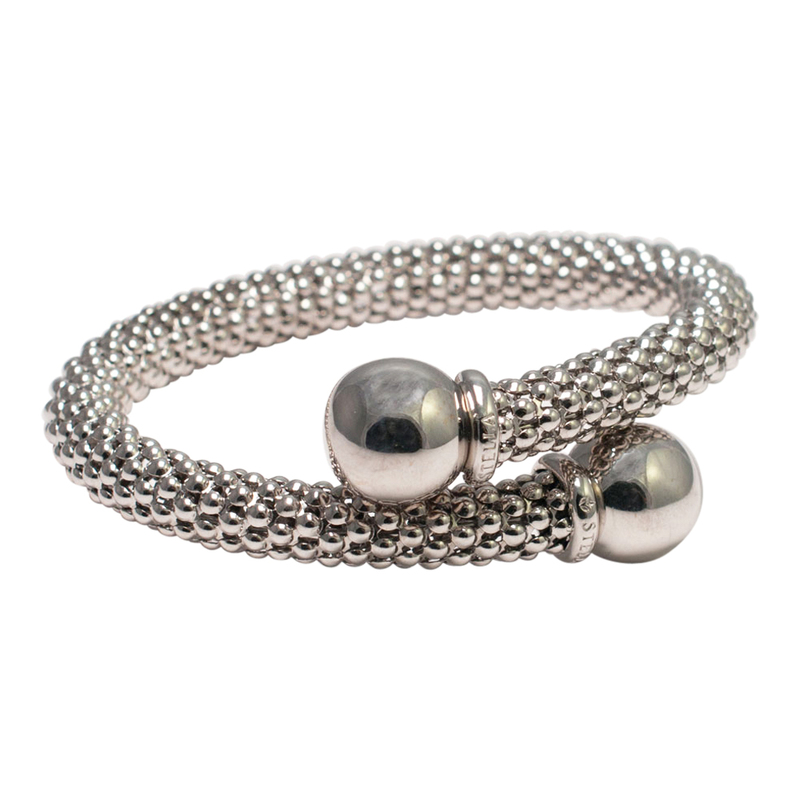 This elegant bracelet would make a lovely piece of wedding jewellery. 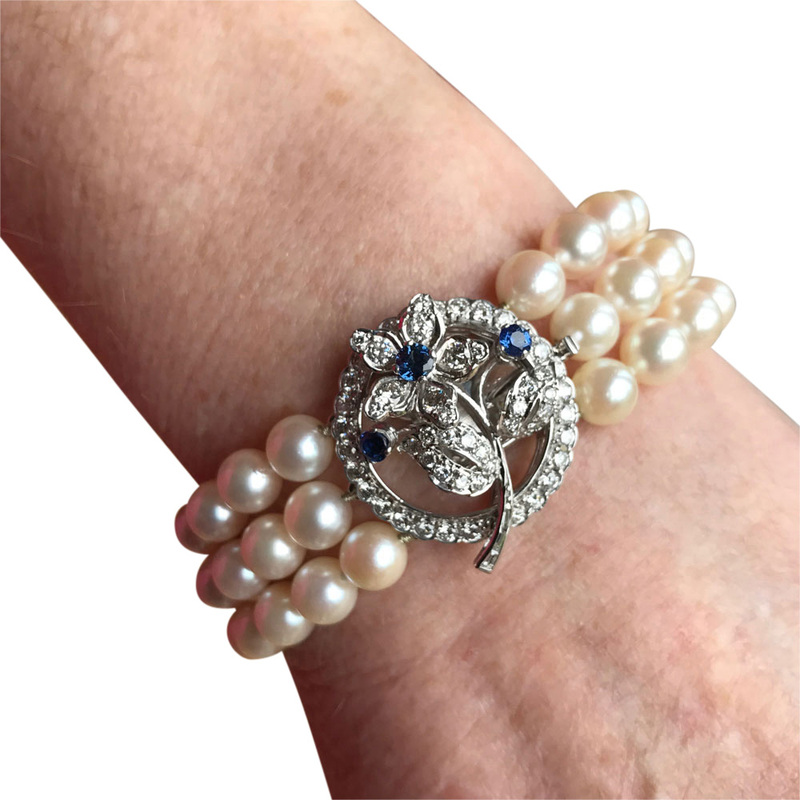 C.1950 This bracelet is in excellent condition.